Born in New York, Cynthia Lee Wong has attracted international acclaim for her “shamelessly beautiful” music and devotion toward “not only the avant-garde audience, but…all music lovers” (Süddeutsche Zeitung). Wong has composed for a range of genres, including music for orchestra, chamber ensemble, dance, voice, narrator, musical theater, and piano improvisation. Her music has received praise for its “original[ity]” (Miami Herald), “buzzing excitement” (Peninsula Reviews),“sheer, oscillating textures” (The New York Times),“elegant and communicative grace” (Il Giornale di Vicenza),“impressive energy and drive” (The Boston Globe),and “unsettling…dark, eerie…highly individual sound universe” (The San Diego Union-Tribune). In 2017, Wong’s futuristic comedy No Guaranteeswith librettist Richard Aellen received funding from OPERA America’s Opera Grants for Female Composers program, supported by the Virginia B. Toulmin Foundation. Act 1 of No Guarantees will be presented as a work-in-progress by Opera Workshop at University of Nevada, Las Vegas, on November 16 and 17 of 2018 at the Black Box Theatre. Wong has also received a commission from Assabet Valley Mastersingers for chorus and orchestra for a 2020 premiere. From 2013-2015, Wong was selected for New Voices, a multi-organizational initiative with New World Symphony, San Francisco Symphony, and Boosey & Hawkes. As part of the residency, she received mentorship from Boosey & Hawkes as well as chamber and orchestral commissions. Among the selection committee were Michael Tilson Thomas, John Adams, Steve Mackey, and Mason Bates. 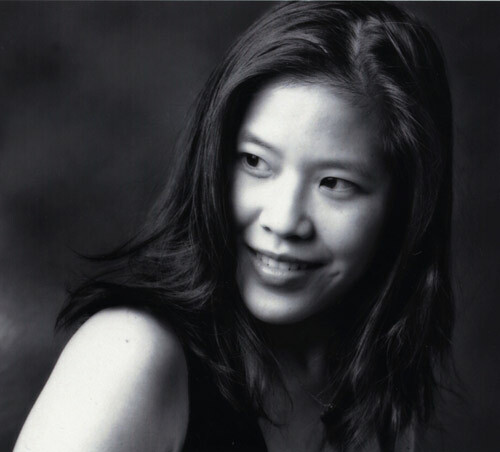 From 2010-2011, Wong received a Project 440 commission in which her piece Memoriamwas premiered on opening night by Orpheus Chamber Orchestra at Stern Auditorium, Carnegie Hall. Past commissions and premieres include works for the Bavarian Radio Symphony Orchestra, Portland Symphony, Orchestra del Teatro Olimpico, Santa Fe Chamber Music Festival, Tanglewood Music Festival, La Jolla Music Society, New York State Music Teachers Association, Mivos Quartet, and Tokyo String Quartet. A graduate of the accelerated 5-year B.M./M.M. program at Juilliard, Wong received her Ph.D. as an Enhanced Chancellor’s Fellow at the Graduate Center, City University of New York. She studied composition with Samuel Adler, Milton Babbitt, David Del Tredici, David Olan, and Larry Thomas Bell, as well as piano with Tatyana Dudochkin, Frank Levy, and Martin Canin. Wong was also a participant in the BMI Musical Theater Workshop. As an educator, Wong has taught at Baruch College, City University of New York, the Southwestern University of Finance and Economics in China, and the New England Conservatory Preparatory School. Currently, Wong is Assistant Professor of Composition at the University of Nevada, Las Vegas, where she has directed UNLV’s new music series Nextet and is Theory/Composition Department Coordinator. She continues to serve on the board at the League of Composers, the nation’s oldest organization dedicated toward new music. Web development 2014 by Lafiya Watson. All press photos by George Kunze (unless credited otherwise). All music and art © 1998-2014 by Cynthia Lee Wong. All rights reserved worldwide.